We do want to thank you for your positive comments regarding the value of our paper (Best Clinical Practice Guidance for clinicians dealing with children presenting with Molar–Incisor Hypomineralisation (MIH). 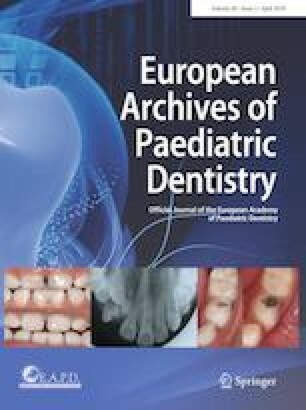 European Archives of Paediatric Dentistry (2010) 11:75–81) which is still used widely in the literature as a key reference paper. Your comments regarding the morphological features of hypomineralised enamel are indeed correct. It needs to be stressed, however, that all studies mentioned in your letter were published after our paper, so their findings were not available to us at the time of the ‘Best Clinical Practice Guidance’. Being cautious, in our paper, we stated that only ‘whitish-creamy hypomineralised enamel defects may occasionally respond to microabrasion with 18% hydrochloric acid or 37.5% phosphoric acid and abrasive paste’. Our statement was based on previous well-documented histological, microscopic and SEM studies of the hypomineralised enamel by Kostlan and Plackova (1962), Suckling et al. (1989) and Jälevik and Noren (2000), who had shown inconclusive findings with the latter revealing less severe findings in whitish-yellow defects. There are, however, few recent studies showing reasonable results without side effects following either careful microabrasion alone (Sheoran et al. 2014) or together with infiltration (Hasmun et al. 2018) in elder children. In addition, further improvement may be achieved by the so-called ‘abrasion effect’ appearing later, as the ongoing hydration by saliva and the archived enamel alteration reflecting light differently, may camouflage the remaining subsurface enamel defect (Donly et al. 1992). Further, therefore, studies in elder children are indeed needed to establish the necessity or not of this technique that remains a conservative approach for the, sometimes, striking appearance of anterior enamel defects in MIH, leading to a negative impact on children’s oral health-related quality of life (Hasmun et al. 2018).